The father of a six-year-old girl who died during the Sandy Hook shooting has been found dead from an apparent suicide. 49-year-old Jeremy Richman was found dead in his Connecticut office on Monday, March 25. 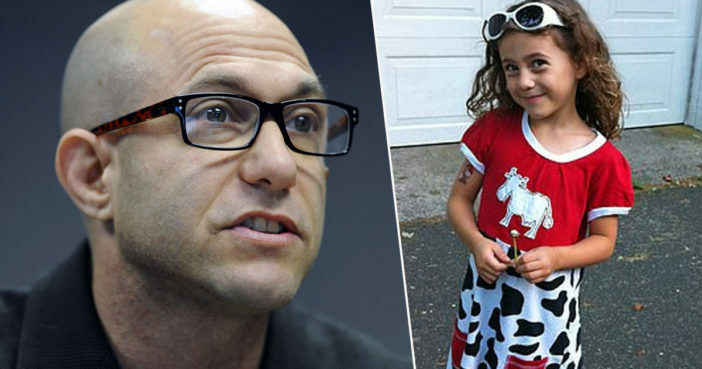 His daughter Avielle Richman had been one of the children killed during the 2012 shooting massacre at Sandy Hook Elementary School. At approximately 7am, police officers were called to Edmond Town Hall where Richman had an office to investigate reports of a suspected suicide. Richman was reportedly dead when first responders arrived at the scene. The death appears to be a suicide, but police will not disclose the method or any other details of the death, only to state the death does not to appear to be suspicious. This is a heart breaking event for the Richman family and the Newtown Community as a whole, the police department’s prayers are with the Richman family right now, and we ask that the family be given privacy in this most difficult time. The police and the state’s medical examiner’s office are reportedly now investigating Richman’s death. An outspoken advocate for mental health, Richman was the founder of the violence prevention charity, The Avielle Foundation. Richman founded the charity in 2013 alongside his partner Jennifer Hensel, named as a tribute to their late daughter and intended to help reduce violence. The Avielle Foundation awards grants for projects focusing on subjects such as connections between behavior and biochemistry, and the impact of abuse on the brain. Richman had committed himself fully to the cause, quitting his job in the pharmaceutical industry to dedicate himself to the foundation. In 2016, the Yale School of Medicine psychiatry department honored Richman and Hensel for their valuable contribution. We put such an emphasis on practical academic learning, which is so critical for life skills that we forget that being human means being able to recognize our own strengths and weaknesses, and being able to advocate for ourselves and for our peers. Our thoughts are with the family of Jeremy Richman at the difficult time.